With as much as I’m writing about health & fitness, you’d think I’m turning into some kind of nut. Don’t worry though- I’m writing this while eating cold pizza. 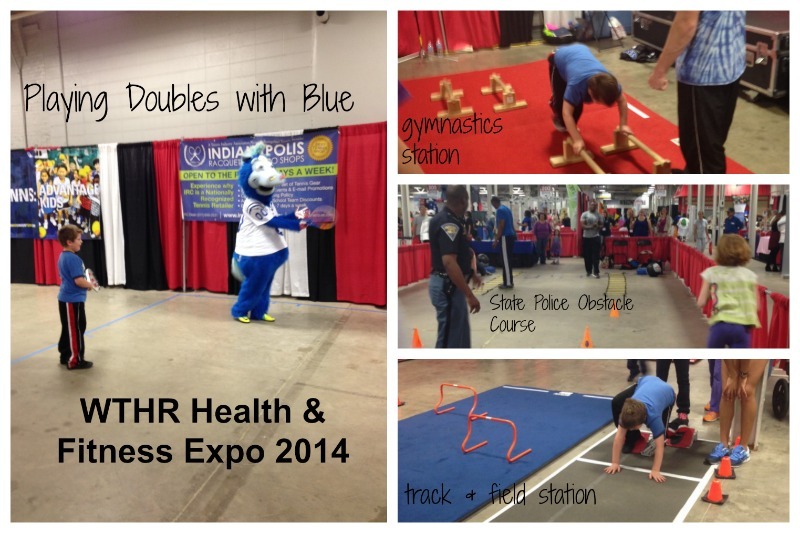 Today I had the opportunity to attend the WTHR Health & Fitness Expo, and the whole family had an amazing time. If you’re not going with kids, I think you’ll find plenty of interesting displays and interesting vendors. There are nursing companies, chiropractors, fitness gear and events, and so much more. If you’re bringing kids, you want to make sure you hit all of the highlights that are there just for them. Let’s put it this way- we were there for three hours, and we didn’t event get to the Kidszone, that’s how much there is to do. 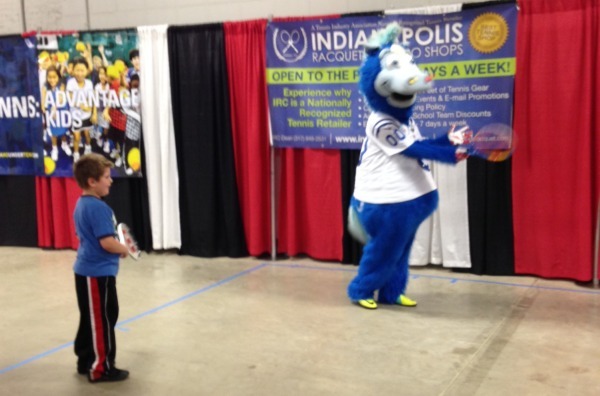 We rode stationary bikes, played tennis, did a Play 60 Colts obstacle course and so much more. We watched an amazing demonstration by the USA Gymnastics Trampoline team (WOW. Just wow), did an Indiana State Police obstacle course, and so much more. I even met a podiatrist who was kind enough to look at my ankle. The Expo is open tomorrow as well, from 10am -5pm at the Indiana State Fairgrounds. It’s a fun day for the whole family, be sure to wear your sneakers, and maybe even workout gear! Free tickets are available with the promo code HEALTH. Have fun! Next PostNext First 5k Over 40: It’s Done!